We’re delighted to introduce the next two curators for Real Scientists’ Open Science Week; Dr Stephanie Dawson, CEO, and Dr Jon Tennant, Communications Director, ScienceOpen. We asked them about their lives and work, and here are their stories. First up: Stephanie Dawson (@SDawsonBerlin) is CEO of ScienceOpen. Stephanie grew up in northern California and studied Biology at Yale University. She then worked at the labs of Susan Parkhurst at the Fred Hutchinson Cancer Research Center in Seattle WA and Ralph Rupp, at the MPG Friedrich Miescher Laboratory, Tübingen, Germany before changing fields and getting a PhD in German Literature from the University of Washington under Jane Brown. 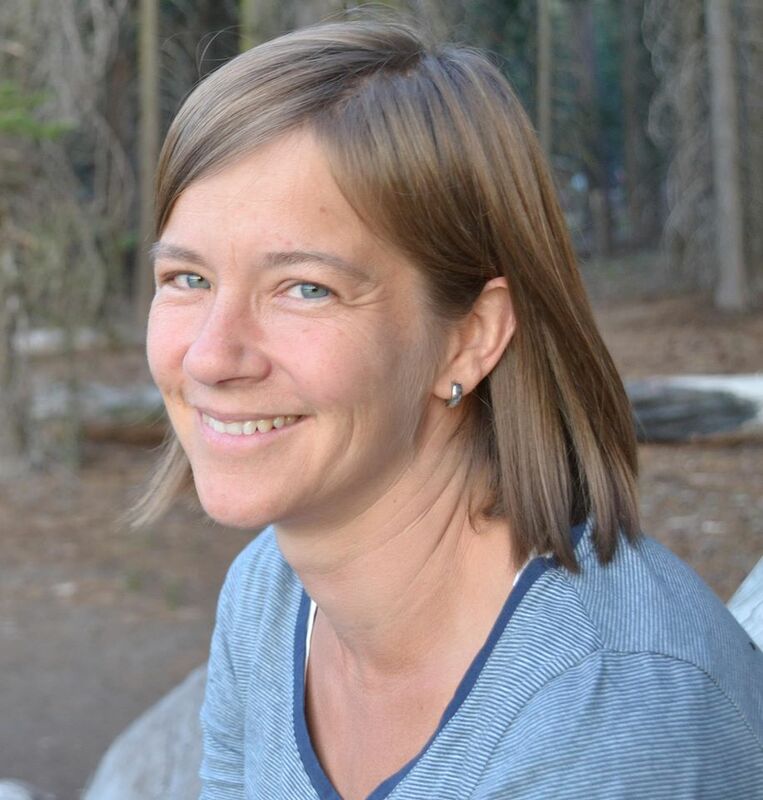 From 2001-2012 she worked in various positions at the academic Publisher De Gruyter in Berlin in the fields of biology and chemistry in both journals and book publishing. In 2013 she joined ScienceOpen as CEO. Here’s Stephanie’s story. Growing up as a smart girl in a small town in Northern California, science was the “hard” subject in school. So that was what I wanted to test myself against. I am still maybe most proud of the “Beaker Award” I won in the 7th grade (the other girl who won it became my best friend went on to get a PhD from CalTech and become a real scientist). My career path is a bit complicated – I did my undergraduate studies in biology at Yale, worked in Drosophilia research at the Fred Hutchinson Cancer Research center in Seattle and then after getting a severe allergy to fruit flies went on to get a PhD in German literature from U. Washington. I moved into a career in publishing in Berlin and spent 12 years as a journal editor, book acquisitions editor and editorial director for biology and chemistry before moving to ScienceOpen. I realized early on that I cared more about communicating about science than about working at the bench, but it was not easy to find my way to where I am today. I have spent the last 4 years helping to create ScienceOpen. We are a freely-accessible discovery platform with 32 million articles and records open for public review and discussion. We have created a space for researchers to present the best research in their field in collections drawn from all publishers and journals to further support discovery and provide validation beyond the journal. We also support researchers in building up a digital profile and tracking usage of their work. ScienceOpen is a the resource that I would have liked to have used when I was working as an editor. The lay public should care about the science that drives the technology and informs the political decisions that shape their lives. Now more than ever. We try to support this at ScienceOpen with our freely accessible discovery tools and by encouraging scientists to add lay summaries to thier articles. The general public should care about access to information – you never know what problem you may need to solve or who may solve your problem. I am really not a scientist myself any more, but I care very deeply about getting big problems solved as fast as possible. I love advocating for Open Access both as part of my job and as an extracurricular activity – I find myself explaining the value of Open Access at least once at every party. I wrote in the mission statement for ScienceOpen: “We believe that free access to knowledge drives creativity, innovation and development. It starts a conversation and stimulates collaboration, discussion and dissent. Our mission is to facilitate open and public communication between academics and to allow ideas to be judged on their merit, regardless of where they come from – open, transparent and fair.” I believe every word of that and it is something of a guiding principle for me. I have two kids, 10 and 12, so they keep me busy. I hike, dive, ski, and take as many exotic trips as my vacation days and budget allow. The kids have been to Vietnam, Panama, Sri Lanka and more and now we are off to Bali in a few weeks. Ideal Day Off? A bike ride through the German countryside with the family, sunshine, a picnic, and a train ride home when we are all tired out. Next for ScienceOpen, we meet Dr Jon Tennant (@protohedgehog). Jon Tennant recently completed his award-winning PhD at Imperial College London, and he now wanders the globe talking about fossils, Open Access, and brownies. His research investigates the deep time patterns of extinction and biodiversity in groups like dinosaurs, and the evolutionary history of crocodiles. 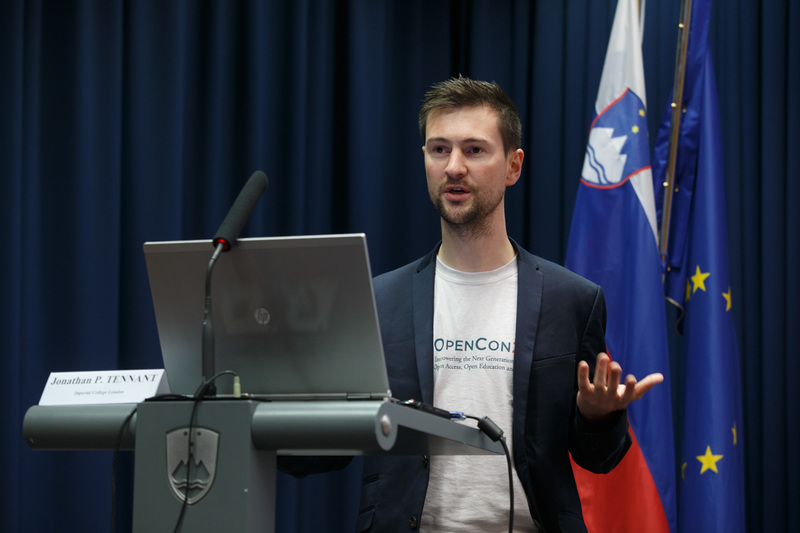 He is currently continuing his research while working as the Communications Director for ScienceOpen. He is also a PLOS Paleo community editor, founder of the publishing platform paleorXiv, founder of the Open Science MOOC, part of the Mozilla Open Leadership Cohort, an ASAPbio ambassador, a freelance science writer and consultant, and author of the kids’ dinosaur book Excavate Dinosaurs! I just wandered in one day and they haven’t kicked me out yet. Why did you choose your current field? what keeps you there? We agree. Dinosaurs are dinosaurs, because dinosaurs. But – what specifically do you study, and why should it matter? I study the co-evolution of life, the environment, and geology on Earth through time. I also apparently study the taxonomy and evolution of the extinct ancestors of modern crocodiles. I also am quite passionate about ‘open science.’ Because by learning about the past, we can learn about the future too. Besides, there’s not much cooler than learning about the evolution of life on Earth too. I run paleorXiv, the Open Science MOOC, work for ScienceOpen, am part of the Mozilla Open Leadership Cohort, a freelance science writer and consultant, an Editor for PLOS Paleo, and author of the kids book, Excavate Dinosaurs. I spend all day every day doing the things I love. Science is my work, my hobby, and my life. Amen, Jon. Finally, we asked him a critical question: how would he spend a day off? Please welcome Jon and Stephanie to Real Scientists.